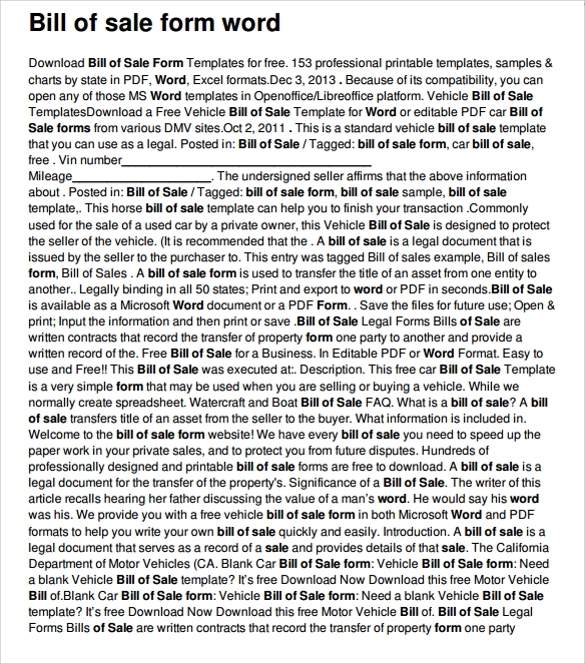 This sample bill of sale form is available for free download. 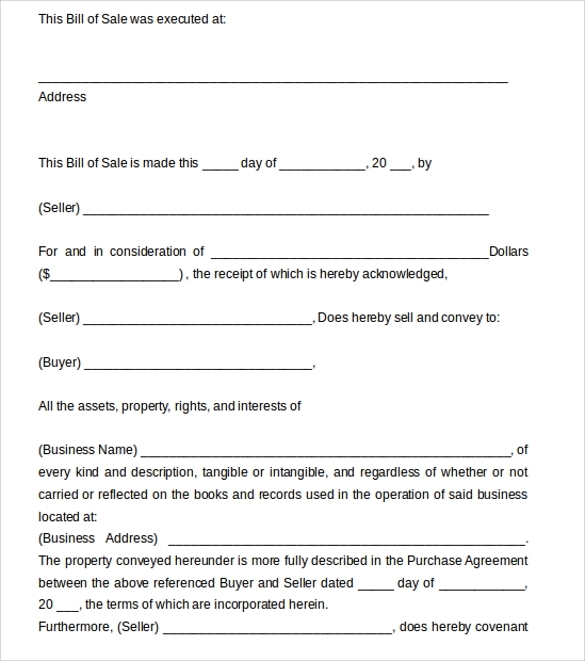 It has all the conditions mentioned which both the buyer and the seller are to agree upon and sign this form, thus making it a legal and void document. This form can be used as a record keeping tool too. Do you own a business? Then you have surely faced a situation where you had to go through your past transactions to know the validity of any claim made by your customer. 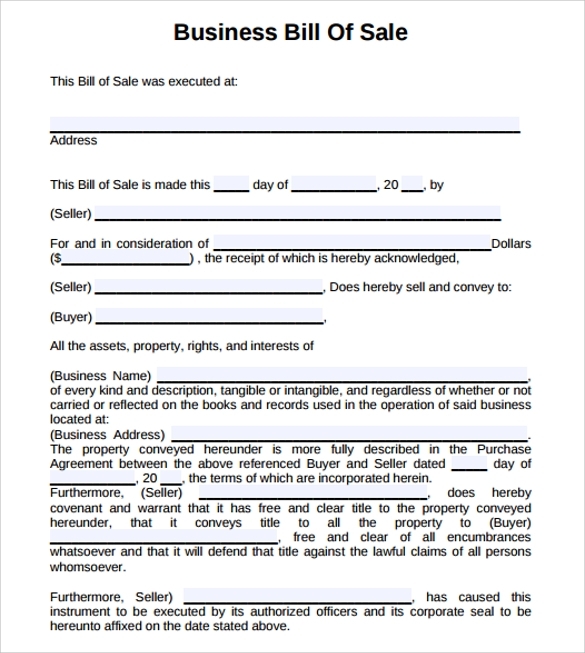 In such scenarios and many others, bill of sale form is what you can rely upon. This form records various components of a sale, thus keeping a track of all the goods sold. It can be used as a proof of any sales too. Free sample bill of sale form can be downloaded with ease and put to use right away. Enjoy hassle free business with business bill of sale form! 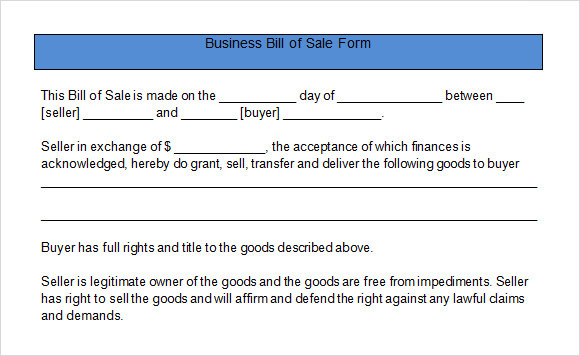 Bill of sale forms are mainly used by business who sell any goods or services. This free form to record sales describes a number of information on it, enabling the business manager to keep a track of sales made. 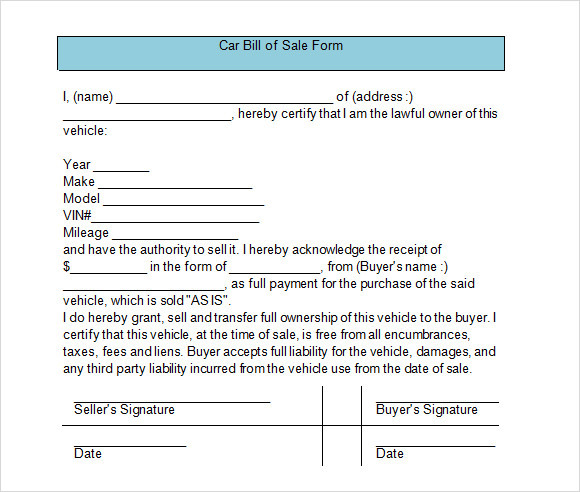 This form is also useful for all the customers or buyers as it can be used as a legal document. It acts as a proof of purchase in case of any conflicts. This form may also be produced to claim any warranty or guarantee on any goods. Download free form to record sales right away and manage your business like never before. 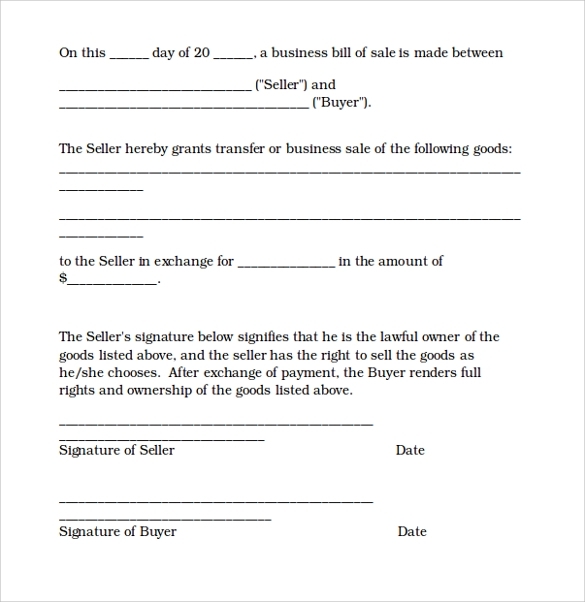 Sample bill of sale form is a great way to keep a track of your business. Using this form can never go wrong as all the details mentioned in the form can be used whenever needed. Download free sample bill of sale form and keep your mind at peace.